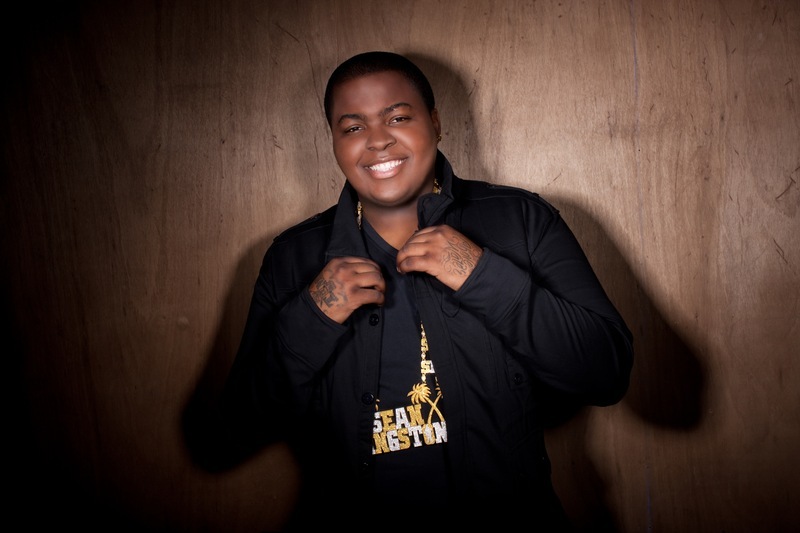 Sean Kingston’s self-titled 2007 album may have sold more than a million copies worldwide and spawned three back-to-back Top 10 singles, including the double-platinum smash “Beautiful Girls,” which hit No. 1 in 21 countries, but it turns out that the Miami-born, Jamaica-bred teen was just getting warmed up on his debut. He proves it on Tomorrow — a buoyant collection of pop-fueled feel-good anthems and dance-floor clarion calls that bumps everything from electro-pop (the club-banging first single “Fire Burning”) to rock (“Shoulda Let U Go” featuring Good Charlotte), to reggae (the breezy “Island Queen”), to R&B (“Wrap U Around Me” — Kingston’s current favorite track because “I’ve always wanted to cut a straight-up love song”). “Everything comes together on Tomorrow,” says Kingston, who collaborated with a host of top-notch songwriters and producers, including J.R. Rotem (who produced Kingston’s debut), RedOne (Lady Gaga), Wyclef Jean (who also contributes vocals on “Ice Cream Girl”), Detail (Akon), Lucas Secon (Jordin Sparks), and The Smeezingtons (Flo Rida). The melodies are irresistible, and Kingston’s Caribbean-inflected voice sound better than ever. Then there are the lyrics, which showcase his growing conceptual maturity. On first listen, Tomorrow may sound loaded with “girl songs” (as he puts it), but for Kingston, writing about his relationships serves as a prism for his deeper messages. “Face Drop” is about self-acceptance and shutting down the haters, “Magical” addresses true romantic connection, while “War” (featuring Lil Wayne) finds Kingston fighting for the one he loves. On “Over,” he brushes off a girl who just wants to get with him for his fame. Through his songs, Kingston lets listeners in on what his life is like through good old-fashioned story-telling. Sean Kingston’s mama, Janice Turner, looms large in her son’s life and is an important part of what makes him who he is. It was Janice who sent a then-seven-year-old Sean to live with his father in Kingston, Jamaica, to straighten him out when she could no longer handle his acting up. “I was getting in trouble, hanging with the wrong people,” he says, “I needed to go learn my roots.” When Kingston returned to Miami, it was Janice who encouraged her hip-hop-obsessed son to switch up his freestyle rapping for singing. She bought him a tiny personal studio when he was 11 and encouraged him to take the stacks of composition books he had filled up with lyrics and turn them into songs. Kingston began writing his own reggae-pop hybrids and performing them at block parties and talent shows, which he’d always win. “That was when I knew I was on the road to something big,” he says. Desperate to get his music heard, he posted the demo tracks on his MySpace page and began to email every hit-making producer he could find online, including J.R. Rotem (50 Cent, Britney Spears, Rick Ross), asking them to listen. “I sent J.R. eight messages a day for three weeks, I wasn’t taking no for an answer,” Kingston recalls. Struck by his persistence, as well as the talent clearly evident on the tracks, Rotem’s brother Tommy, who was managing J.R.’s MySpace page, told Kingston that if he ever came to Los Angeles, to give him a call, which Kingston did in June 2006 when he moved there to live with his older brother. The two met at a Subway sandwich shop in Burbank and Kingston’s fate was sealed. “My mom was locked up. I had all kinds of hunger in my voice,” Kingston says, “and it obviously came through when I was freestyling for Tommy.” A deal with J.R.’s newly launched label Beluga Heights was signed, followed by a joint contract with Epic Records, which sent Kingston into the studio with Rotem where the two cooked up the tracks that became Kingston’s debut album and sent the 17-year-old’s career into the stratosphere. A vibrant fusion of pop, doo-wop, and reggae, characterized by Kingston’s airy island lilt and a sample of Ben E. King’s “Stand By Me,” “Beautiful Girls” made history as one of the fastest ascents up the Billboard Hot 100 charts ever, eventually climbing to No. 1, where it stayed put for three weeks. Three more Top 10 hits followed, “Me Love,” “Take You There,” and “There’s Nothin’.” Kingston sold more than six million digital singles and more than 4.5 million ringtones. In 2007, he opened for Gwen Stefani on her ‘Sweet Escape’ tour, Beyoncé on her ‘Beyoncé Experience’ tour, as well as Chris Brown in the U.S. and Kelly Clarkson in Australia.